Attending concert performance of Werther I was sad to miss Elīna Garanča as Charlotte, and very hopeful to hear different interpretation of Werther by Piotr Beczala, who is undoubtedly one of the finest tenors especially in lyrical repertoire. As news on Charlottes replacement by Angela Gheorghiu came in, I was even more intrigued to see what this combination of cast will deliver, especially on opening night. Beczala as expected was excellent as Werther, his vocal capabilities are perfect fit to the role. After seeing Marcelo Alvarez and Jonas Kaufmann interpreting Werther, level of expectations was set very high, and even if I was missing some more lightness and lyricism on Werther part in the beginning (spring theme), dramatic fulfillment of the fate was excellent, regardless of issues with conductor attempts to frighten off the audience. Piotr received thunderous applause and standing ovations during curtain call, fully justified for his outstanding performance. 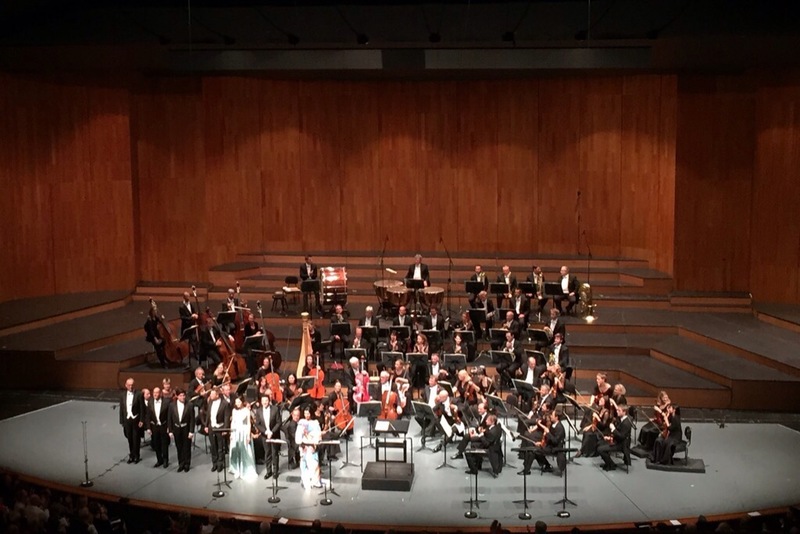 There was some funny conducting, Pérez was actively gesticulating , and making almost situps in front of orchestra, and his hardest physical efforts made orchestra sound disturbingly loud, fully wiping out singer voices. In some moments the sound was muted, probably to indicate lyricism, but on in most cases unexplainable why. Could it be an effect of the orchestra placement on the stage instead of being in the pit? I can certainly attribute such perception of interpretation to my limited musical education, nevertheless, I was not alone in my opinion, at least on Rang seats, which significantly emptied after the interval (4 empty seats next to me in row 11 only), while some conversations overheard during break to be summarised as “below expectations” noting orchestral part. Gheorghiu attempted to go for mezzo role, probably following some examples before like Bartoli with Norma, but seems that it really does not work another way around. Her Charlotte was just different woman, she had some nice hints of youthfull sentiment in the beginning, spring themes, but when autumn came, she turned into passively aggressive and drama absorbed diva, at the moments it seemed that Tosca has visited the Festspielhaus. 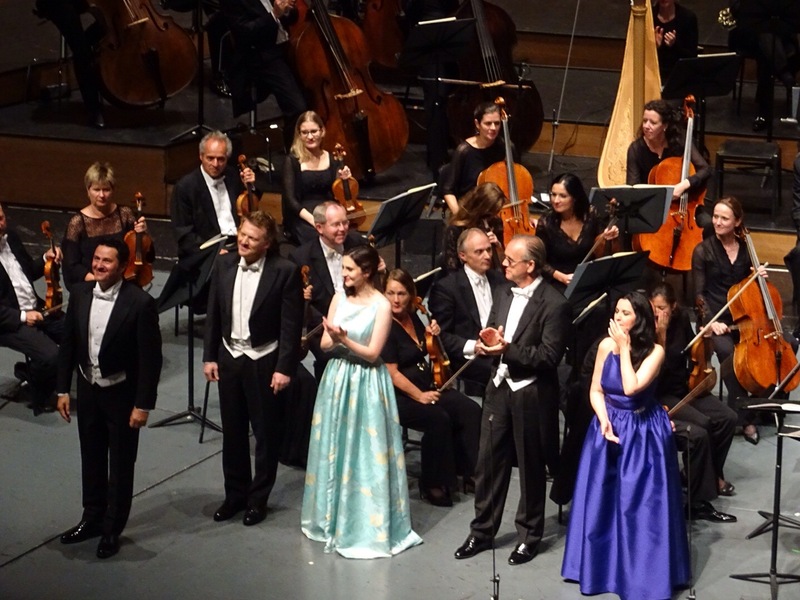 Regardless of those flaws, Angela Gheorghiu certainly earned applause and “brava” from her admirers. As we know, world is created by perceptions, and my Charlotte is smart, inward looking, considerate and with deeply burning passions. Her love for Albert is based not only to wows to her deceased mother, but also on tenderness and friendship which creates foundation of long term relationship. Werther is infatuation, obsession and burning desire, it is quintessence of passionate love she does not know yet. Even if so, Charlotte knows there is no future, therefore place for drama. But drama within, not shown out loudly..
Elena Tsallagova was excellent, she created so tender and bright Sophie, her vocal capabilities ideal match to the role. Also other cast members good, need to praise Daniel Schmutzhard as Albert, his vocal part is not extensive, but was delivered with thoughtful acting, varying from joy and romance to dramatic discovery of lost love. Audience at least on Rang completely different from previous evenings, more men, single attendance, many with binoculars ready, and enthusiastically shouting Brava to Angela both during performance (inconveninet moments) as well as during curtain call. Angela rewarded her fans properly by sending air kisses. Overall impression of performance remained unbalanced with some excellent singing (Beczala, Tsallagova) , some good singing (Gheorghiu, Schmutzhard), some mediocre moments and questionable conducting. Usually I expect some emotional touch from the performance, even if it is only concert version. This Werther left me pondering about original Goethe story and additions brought into it by libretto authors, but no goosebumps or silent tears. Hopefully next few performances here is Salzburg will be more stable, and will gather complimenting reviews. You should be able to hear the orchestra well no matter where it is placed. Also this isn’t Wagner so there’s no need to ever make it so loud as to drown voices. Contractor’s fault.